DETROIT -- One bad season for Manchester United has not shaken General Motors' belief in its $559 million (415 million euro) sponsorship deal with the English soccer club. The logo of Chevrolet, GM's global volume brand, appeared on players' jerseys for the first time last Wednesday, when United beat the Los Angeles Galaxy 7 to 0 in a friendly match at the Rose Bowl in Pasadena, California. That result will have been welcome to Chevy's top marketing executive, Tim Mahoney. The club's failure to win any trophies last year or even to qualify for Europe's major tournaments this year has significant implications for TV visibility, leading some sponsorship experts to conclude that GM has overpaid, particularly as GM has announced it will stop Chevy sales in Europe at the end of 2015. But GM executives have repeatedly stressed the real strength of the deal is in helping it connect positively with United's massive fan base in Asia, a region where the No. 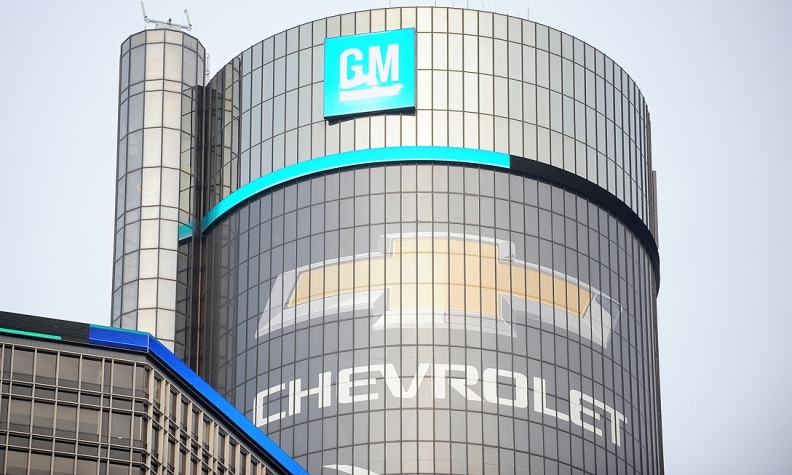 1 U.S. automaker sees good sales potential for its Chevy brand. GM also is not the only sponsor fully committed to the New York Stock Exchange-listed business/sport enterprise. Earlier this month Adidas of Germany signed a 10-year, 1 billion euro sportswear deal with United. Chevy's deal goes well beyond putting its name on the team's shirts. To connect with the club's estimated 659 million fans worldwide it is also developing online relationships with them, especially in key markets such as China. Chevy has a dedicated Web site to do this and it also plans to introduce a series of digital applications for wireless devices. "We're buying into the brand," Mahoney said in an interview at the company's Detroit headquarters. "Any great brand has a whole history and a heritage behind it. We're in it for the long haul." A video created by GM for the launch of the jersey, available online at www.ChevroletFC.com, shows United fans wearing the club's different jerseys over the years, ending with the club's star striker, Wayne Rooney, in the latest version. That video has already been viewed more than 3.5 million times. Other attempts at cementing the relationship between the Chevy and United, included the offer of test drives and United-themed events, such as face painting and soccer obstacle courses, at the match with the Galaxy this week. GM will do the same next month when United plays the reigning European champions, Spain's Real Madrid, in Ann Arbor, Michigan. Reflecting its commitment to engagement with soccer, last March GM also launched a global marketing campaign, "What Do You #PlayFor," that includes soccer clinics for children. When United plays its opening Premier League game on Aug. 16 at its home field, Old Trafford, GM will place advertisements globally to emphasize the partnership, including ones in Mandarin within the stadium itself. The company also will bring 11 children from target markets such as China, India and Indonesia onto the famous pitch. GM is not the only automaker attracted to Manchester soccer clubs. Earlier this month Japan's Nissan signed a deal, reportedly worth about 20 million pounds (25 million euros), with United's local rival, Manchester City. That five-year partnership will tie Nissan’s name not just to the 2013-2014 English Premier League champions but also to sister teams in the USA and Australia.